Washington, D.C.----The holidays are a time for putting others before ourselves. And with the recent news that the world's population has surpassed 7 billion, there are a lot more "others" to consider this year. Nearly 1 billion people in the world are hungry, for example, while almost the same number are illiterate, making it hard for them to earn a living or move out of poverty. And 1 billion people----many of them children----have micronutrient deficiencies, decreasing their ability to learn and to live productive lives. "As our global community continues to grow, so does the need to consider----and act on----the challenges we all face," says Robert Engelman, President of the Worldwatch Institute. "Far too many women, children and men are living with less than they need and deserve." "Although the number of undernourished people worldwide has decreased since 2009, nearly 1 billion people go to bed hungry each night, a number that is unacceptably high," according to Danielle Nierenberg, director of Worldwatch's Nourishing the Planet project (www.NourishingthePlanet.org). Malnutrition contributes to the death of 500 million children under the age of five every year, and in Africa, a child dies every six seconds from hunger. But more and more organizations, such as the United Nations' World Food Programme, are using homegrown school feeding (HGSF) initiatives to alleviate hunger and poverty. HGSF programs in Brazil, India, Thailand, Kenya, and elsewhere work to connect local producers with schools, helping to provide children with nutritious and fresh food while providing farmers with a stable source of income. Roughly 1.3 billion tons of food----a third of the total food produced for human consumption----is lost or wasted each year. Within the United States, food retailers, food services, and households waste approximately 40 million tons of food each year----about the same amount needed to feed the estimated 1 billion hungry people worldwide. Organizations around the world are working to educate people on the importance of conserving food. In New York City, City Harvest collects surplus food from food providers and distributes it to more than 600 shelters and other agencies. And in West Africa, farmers are using the power of the sun to dehydrate fruits such as mangos and bananas. Experts estimate that, with nearly all of their moisture removed, the fruits' nutrients are retained for up to six months, allowing farmers to save the 100,000 tons of mangos that go to waste each year. These problems could be alleviated by improving access to nutritious foods. In sub-Saharan Africa, AVRDC-The World Vegetable Center works to expand vegetable farming across the region, boosting access to nutrient-rich crops. And Uganda's Developing Innovations in School Cultivation (Project DISC) educates youth about the importance of agriculture and nutritious diets. Students learn about vegetables and fruits indigenous to their communities, as well as how to process and prepare these foods for consumption. "If a person doesn't know how to cook or prepare food, they don't know how to eat," says Project DISC co-founder Edward Mukiibi. Lack of access to healthy food doesn't result only in hunger. More than 1 billion people around the world are overweight, and nearly half of this population is obese. Nearly 43 million children under the age of five were considered overweight in 2010. Surging international rates of heart disease, stroke, diabetes, and arthritis are being attributed to unhealthy diets, and 2.8 million adults die each year as a result of overweight or obesity. The UN's Special Rapporteur on the Right to Food, Olivier De Schutter, has urged countries around the world to make firm commitments to improving their food systems. In Mexico, where 19 million people are food insecure yet 70 percent of the country is overweight or obese, De Schutter has called for a "state of emergency" to tackle the problem. He attributes the hunger-obesity combination to the country's focus on individual crops and export-led agriculture, and argues that a change to agricultural policies could tackle these two problems simultaneously. Over three-quarters of a billion people worldwide----793 million adults----are illiterate. Although the number of people unable to read has decreased from 1 billion in 1990, illiteracy continues to prevent millions of people from moving out of poverty. For farmers in particular, being illiterate can limit access to information such as market prices, weather predictions, and trainings to improve their production. New communications technologies are providing part of the solution. A team of researchers known as Scientific Animations Without Borders is helping illiterate farmers around the world learn how to create natural pesticides or prevent crop damage using solar treatments, by producing short animated videos accessible on mobile phones. In India, farmers can receive daily updates via text or voicemail on weather and crop prices through subscription services set up by major telephone companies. Kheti, a system operated by the U.K.'s Sheffield Hallam University, even allows farmers to take pictures of problems they are having with their crops and to send them in for advice. With more than 4.6 billion mobile phone subscriptions globally, projects such as these have the potential to reach and improve the lives of many around the world. As we gather together this holiday season to reflect on the things most important to us, let us also take the time to remember the billions of others who share our planet. Too many of the world's neediest people will start the new year without sufficient food, nutrition, or education. But by acknowledging and supporting those organizations around the world that are finding ways to nourish both people and the planet, we can all make a difference. Midway, GA, December 14, 2011 –The latest news from The White House that all troops will be pulled out of Iraq by the end of December 2011 makes understanding the history of events occurring in Iraq that brought us to this point seem more relevant than ever. Awakening Victory: How Iraqi Tribes and American Troops Reclaimed al Anbar Province and Defeated al Qaeda in Iraq (Casemate Publishing) by Lt. Col. Michael E. Silverman (ret), provides exactly that. This book, that debuts next week, is a true account of how the partnership between Iraqi tribes and American troops reclaimed al Anbar and defeated al Qaeda in Iraq. Michael Silverman was Commander of the 3rd Battalion, 69th Armored Regiment and he was right in the middle of the fight. His battalion contributed a great deal to the war in Iraq and was the only one to participate in the campaign to reclaim al Anbar Province from start to finish. Silverman offers an expert perspective on the surge in Iraq and the role of Iraqis in securing their country. Awakening Victory reveals actions and incidents that were not released to the public before now and tells of this battalion’s actions in taking the war from one of bombs and bullets to one of partnership and ideas. Silverman’s book shows the contrast between why we were so successful in Iraq versus the failed campaign in Afghanistan, where this Administration’s heavy-handed approach to the Taliban ruined our relationship with Pakistan. Silverman’s battalion played a huge part in the ‘surge’ in Ramadi in early 2007 in a campaign that is hailed as the D-Day of the global war on terror, and was hugely successful in clearing out al Qaeda and replacing them with locally raised and trained Iraqi police. This reduced the attacks within Ramadi from twenty a day to one or two a week within just a couple of months, and a 90 percent reduction from the previous year in attacks in the entire province. Michael Silverman was involved throughout the entire Iraqi insurgency. His book shows a deep insight not found in most Americans’ perceptions of the war, and offers a fresh perspective of the ‘surge’ and the role of Iraqis in securing their country. Being on the front lines, his book expertly describes the exact turning point where the U.S. turned a supposedly failed war into a possibly enduring success. Lt. Col. Michael E. Silverman, a 25 year veteran with the United States Army, is the recipient of numerous awards, medals and commendations. Retired in 2008, he spends his time writing about the war on terror and serving as a consultant to the U.S. Army on counterinsurgency. He is well-versed in international affairs and world religions and writes with the authority of someone who has both been blown-up by an IED and assisted in shaping U.S. strategic policy for the global war on terror. Please visit www.michaelesilverman.com or www.longwaranalysis.com for more information on this extremely knowledgeable writer. The holiday season is a time for gifts, decorations, and lots and lots of food. As a result, it's also a time of spectacular amounts of waste. In the United States, we generate an extra 5 million tons of household waste each year between Thanksgiving and New Year's, including three times as much food waste as at other times of the year. When our total food waste adds up to 34 million tons each year, that equals a lot of food. With the holidays now upon us, the Worldwatch Institute offers 10 simple steps we all can take to help make this season less wasteful and more plentiful. 10. Give gifts with thought: When giving food as a gift, avoid highly perishable items and make an effort to select foods that you know the recipient will enjoy rather than waste. The Rainforest Alliance, an international nonprofit, works with farmers and producers in tropical areas to ensure they are practicing environmentally sustainable and socially just methods. The group's certified chocolates, coffee, and teas are great gifts that have with long shelf-lives, and buying them helps support businesses and individuals across the world. "8 Tips to Avoid Drowning in Deals"
For some of us this means going to extremes and cutting up credit cards. For others, it just means clipping coupons and unplugging appliances. 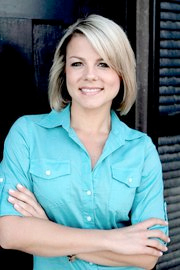 Andrea Woroch is a consumer and money-saving expert for Kinoli Inc. As a nationally recognized media source, Andrea has been featured on Good Morning America, NBC Today Show, FOX & Friends, MSNBC, ShopSmart Magazine, Kiplinger Personal Finance, CNNMoney and many more. To view recent interviews or for more savings tips visit AndreaWoroch.com or follow her on Facebook and Twitter. 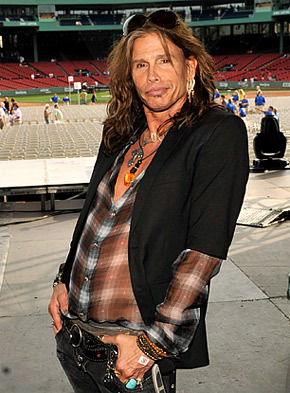 Steven Tyler, 62, (catch Tyler on American Idol on Fox Wednesdays and Thursdays at 8 P.M.) talks to UsMagazine.com. 1. I have swum with dolphins. 2. I've met the president and hugged the first lady. 3. I sang four songs from Abbey Road to Paul McCartney. 4. I danced with the devil on several occasions. 5. I meditated with the Dalai Lama. 6. I love to scuba dive in the Great Barrier Reef. 7. I used to hunt and trap as a kid. 8. I can live for two months on a good compliment. 9. Love Maya Angelou and Yma Sumac. 11. I've hugged a koala bear in Australia. 12. I have isms that were was-ems. 13. I love to hang-glide and pick and eat the leaves off the tops of trees. 14. Disney World is my idea of the ideal vacation. 15. I can hold my breath for two minutes underwater. 16. I make my own Dirico motorcycles. 17. I'm married to four guys. 18. My son Taj is a bigger lady killer than I was. 19. I believe the best way to get into a lady's pants is to borrow her jeans. 20. Somehow a wineglass makes my Kangen Water taste better. 21. I had a pet raccoon named Bandit. 22. Eating my words never gave me indigestion. 23. My rock universe has a new center of gravity. 24. I'm a fragrance cognoscente. Love my oils. 25. I've got 25 fewer secrets now. Have you seen the Coupon Mom, Stephanie Nelson, on the Today Show or Oprah or numerous other shows buying over $100 of groceries for less than $5 at checkout? CouponMom.com, her free website, continues to grow as shoppers learn to use web technology to save up to $6000 a year at the grocery store. CouponMom.com is the largest grocery savings website of its kind with over 2.4 million members, up from 200,000 in early 2008. "Consumers are focusing more on planning their trips to the grocery store to save money," said Nelson, "Being able to go to the web to find the best grocery deals at their stores, print coupons, load electronic coupons on their store cards, and even use their cell phone to access their shopping list helps save money without taking a lot of time." Printable grocery coupons are the fastest-growing source of coupons as busy shoppers seek "on-demand" savings. In 2009, internet distribution of coupons increased by 92% and consumer redemption of these coupons is up over 360%. CouponMom.com members alone printed over $40 million worth of free grocery coupons in 2009. "We will most certainly see an increase in the number of printable coupons available in 2010," said Nelson. The website helps shoppers save by teaching "Strategic Shopping." CouponMom.com offers free membership and a tutorial, and the "Grocery Deals by State" section makes saving simple by listing the best grocery deals at thousands of supermarkets across the country. These lists combine sale prices with store promotions and coupons, helping any shopper achieve dramatic savings. "Saving money doesn’t have to be complicated," says Nelson. "We outline my Strategic Shopping Method and show consumers how easy it is to save at every type of store, in every department within the grocery store, and for every type of shopper." A new wave of couponing is taking the nation by storm, and Stephanie Nelson knows all the tricks of the trade. To learn more about new couponing trends and for an online tutorials, go to www.couponmom.com.